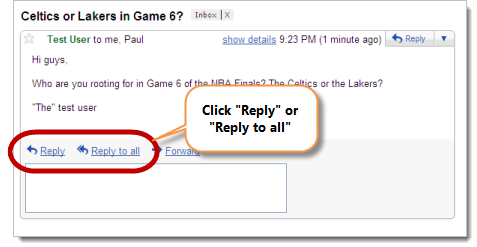 As with other email programs, Google Mail allows you to easily reply to a message. 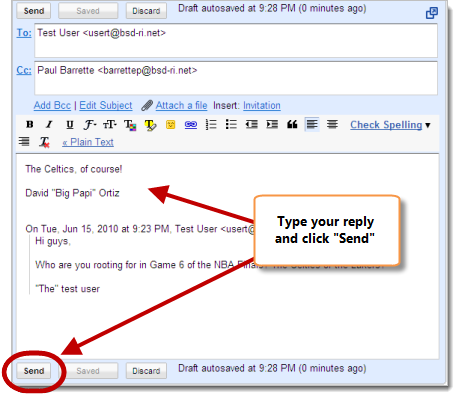 When replying to a message, you can choose to reply just to the sender or to reply to all the recipients of the original message. 3. Type your reply and click "Send"